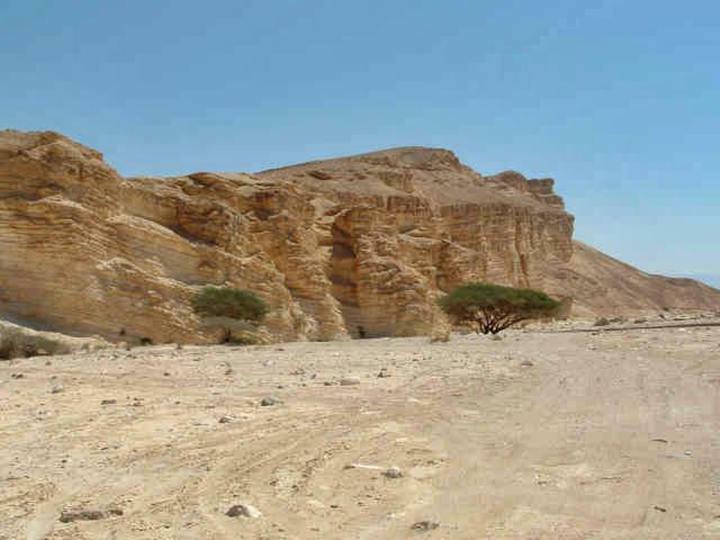 The Judean desert is located in Central Israel, west of the Jordan river. Mk 1:12-13: And immediately the spirit driveth him into the wilderness. And he was there in the wilderness forty days, tempted of Satan; and was with the wild beasts; and the angels ministered unto him". Lk 4:1-8: And Jesus being full of the Holy Ghost returned from Jordan, and was led by the Spirit into the wilderness, Being forty days tempted of the devil. And in those days he did eat nothing: and when they were ended, he afterward hungered. And the devil said unto him, If thou be the Son of God, command this stone that it be made bread. And Jesus answered him, saying, It is written, That man shall not live by bread alone, but by every word of God. And the devil, taking him up into an high mountain, shewed unto him all the kingdoms of the world in a moment of time. And the devil said unto him, All this power will I give thee, and the glory of them: for that is delivered unto me; and to omsoever I will I give it.If thou therefore wilt worship me, all shall be thine. And Jesus answered and said unto him, Get thee behind me, Satan: for it is written, Thou shalt worship the Lord thy God, and him only shalt thou serve. Mt 4:1-2: "Then was Jesus led up of the spirit into the wilderness to be tempted of the devil. And when he had fasted forty days and forty nights, he was afterward an hungred".